He sold it to me very reasonably because he thought it was a put-together case! However, I remembered in Stan Czubernat's Waltham book that there was an entire chapter devoted to these cases. Sure enough, I got it home and it turns out to be an example like the one on page 98 of Stan's book, called the "Cadet." Stan believes that this case was designed by Ezra Fitch himself, then head of the Waltham Watch Co. Fitch was an avid wristwatch proponent and probably as responsible as anyone for bringing the man's wristwatch out of the novelty realm and into the mainstream. He held several case patents and worked closely with Charles Depollier in manufacturing the Waltham/Depollier Waterproof Watch, arguably the finest and today most sought after trench watch model of the Great War. and then the number 22432 is stamped below this, which I assume is a case serial number. 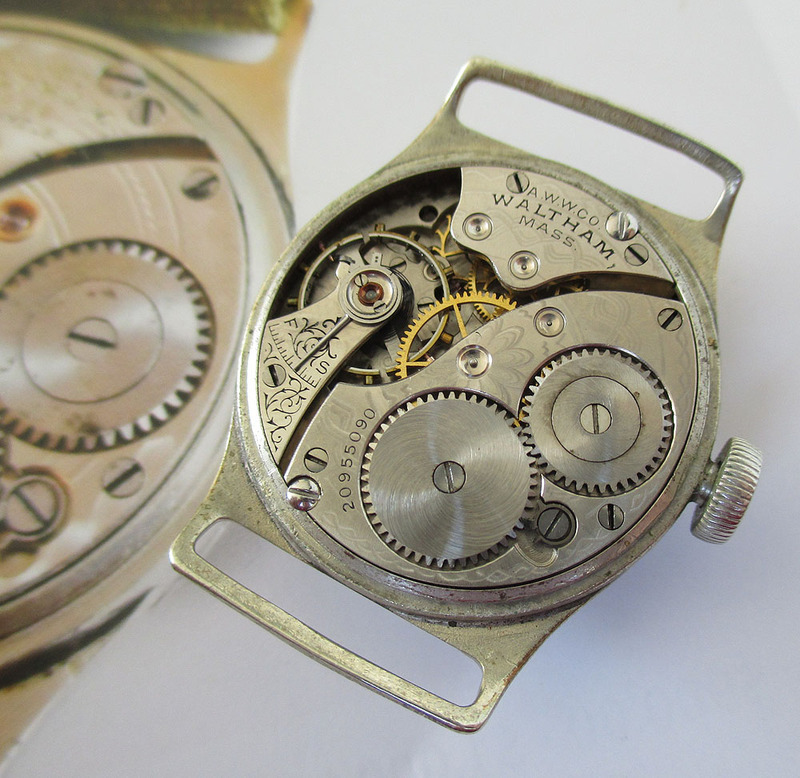 Upon further examination, we find that the movement's serial number of 20,955,090 is a 3/0-size Grade 361 movement with 7 jewels, manufactured in year 1917. 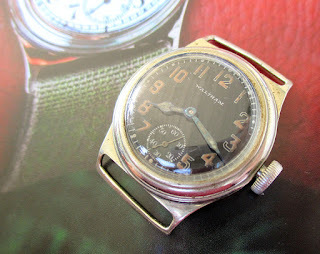 This serial number definitely puts the watch in the range of the Great War. Whether it saw actual service or not is anyone's guess. Its wonderful condition suggests that it did not see service, but you never know. The watch runs in its current state, and even keeps respectable time, though I have no idea when it was last serviced. The black dial with luminous numerals I thinks adds further value to the watch, since most of these I've seen have white dials. 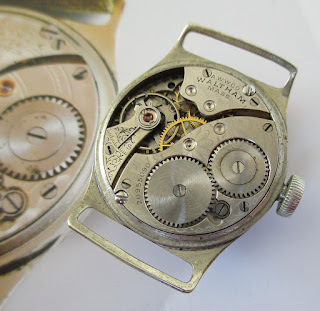 The dark condition of the luminous and the fact that a good portion of it is missing suggests to me that this is an original dial, and I for one would not have this dial refinished in a million years! The crown I believe is also original. 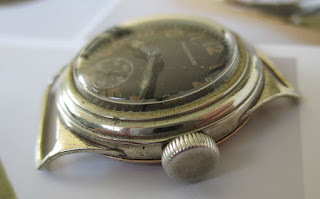 Finding this watch is a great example of how having a little upper hand on knowledge can pay huge dividends when you're out searching for watches. 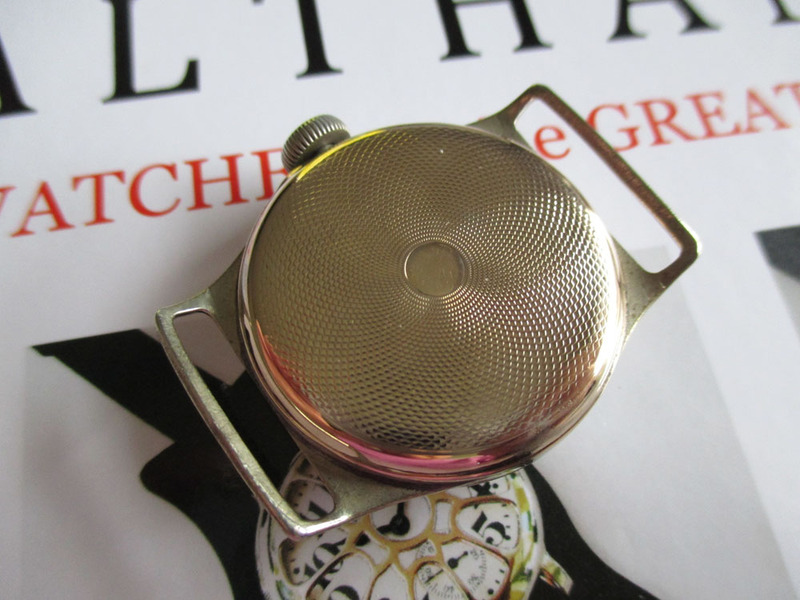 I have never quite understood the reluctance of so many watch collectors to acquire reference books. They view it as an expense when in reality it is an investment that often times pays for itself many times over. 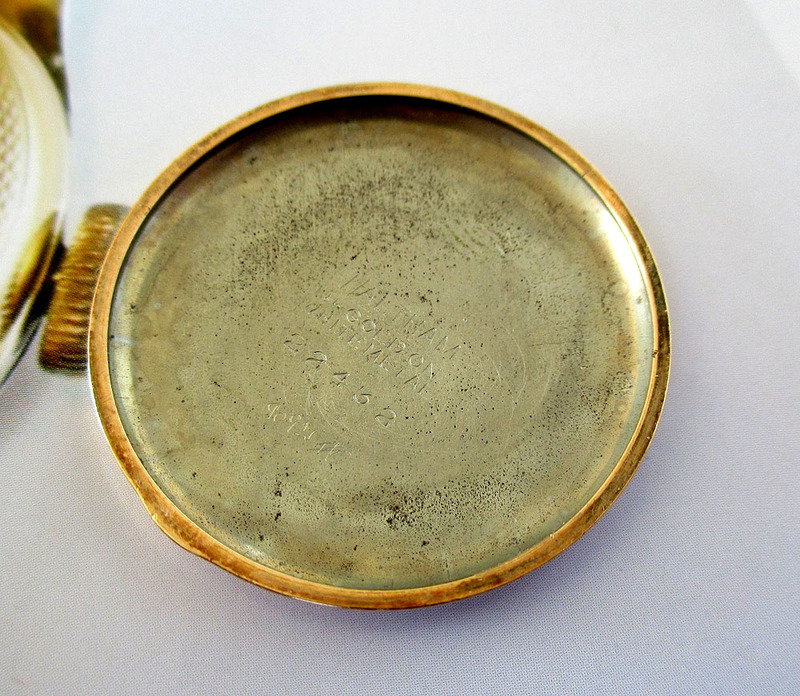 The other nice thing about this watch is that it was obtained from an estate. Don't get me wrong; I love buying watches from other watch dealers. But some of the finest, most original-state watches I've acquired over the years are what I call "organic" watches. These are watches that have the least likely chance of being "molested" or "messed with." Like the "field-to-consumer" organic fruits and veggies, these watches haven't passed through multiple middlemen where all manner of molestation can occur ... re-casing, swapping dials/movements, etc. I am 99% sure that this watch is all original. Quite a feat for a timepiece nearly a century old! Stan's book places a value on this model of between $900 and $1,000. 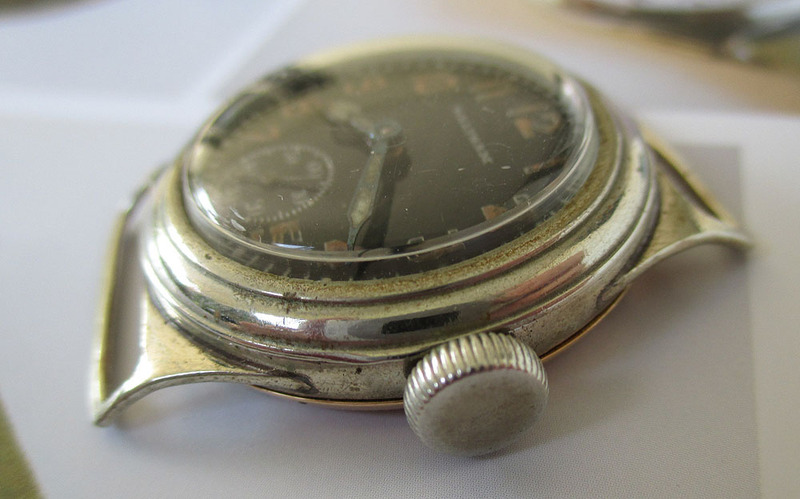 But keep in mind that is for a watch in fully restored condition, with the movement completely torn down, cleaned/oiled, and re-assembled. I conservatively believe the black dial would add another $100 to $200 to that figure. This specimen is for sale on my website, and can be found here, until it sells of course!